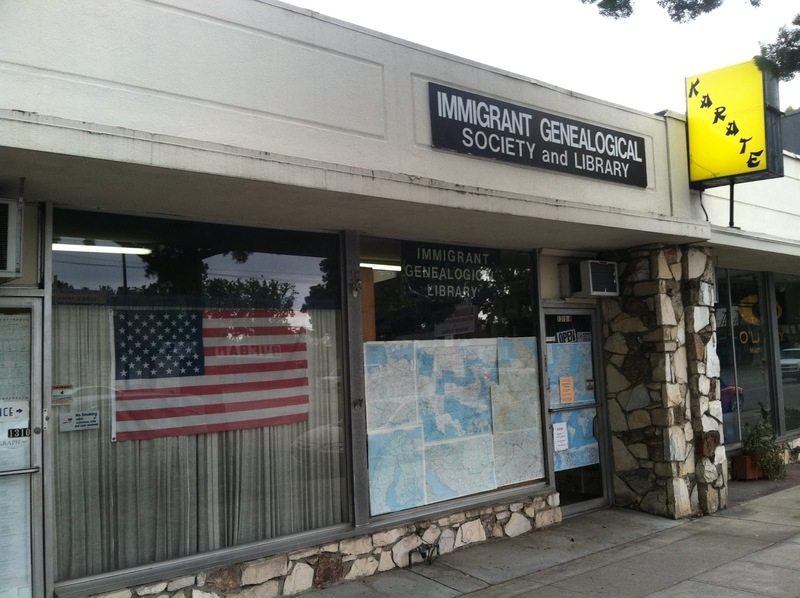 In April 2013, I was invited to speak about searching Ancestry.com at the Immigrant Genealogical Society and Library in Burbank. We drove up on a Sunday morning to our daughter's home in Huntington Beach, and I left Linda there while I drove on to Burbank. There were only a few people in attendance at my talk. 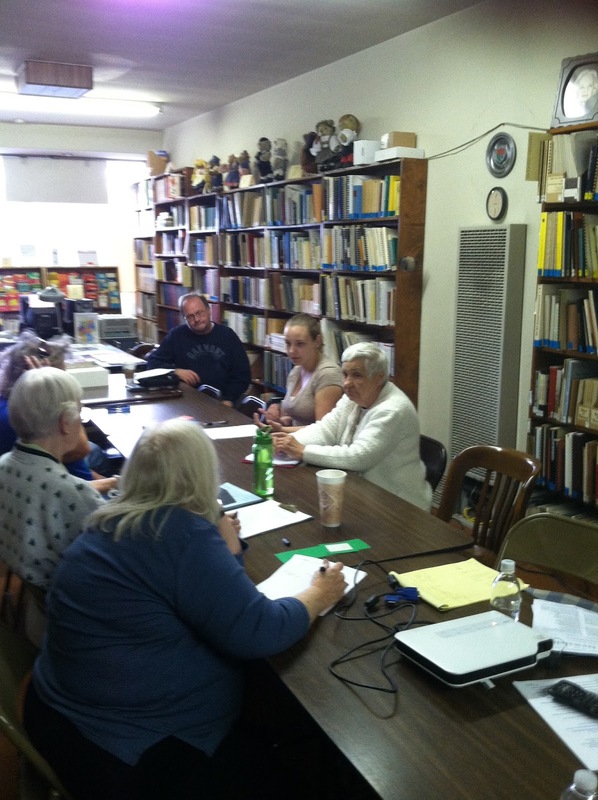 That is Toni Perrone, the founder of IGSL in the white sweater, and Elyse Doerflinger next to her. Unfortunately, I cannot remember the names of the others. This was a very interesting place. As you can see it's a hole-in-the-wall place, but the walls were lined with books, and they were well organized. My memory is that there was a second room on the other side of the wall, but I may be wrong. More books! After the meeting, I drove back to Huntington Beach and enjoyed dinner and play time with my two granddaughters. We probably came home the next day.